About once a year I get an itch to play through a Diablo. 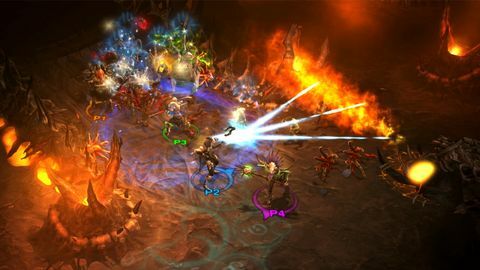 I will pick my poison - typically Diablo 3 in recent years - and will embark on my downward journey towards the Lord of Terror once more. Every time I do this, I tell myself that I am in it for the long haul. 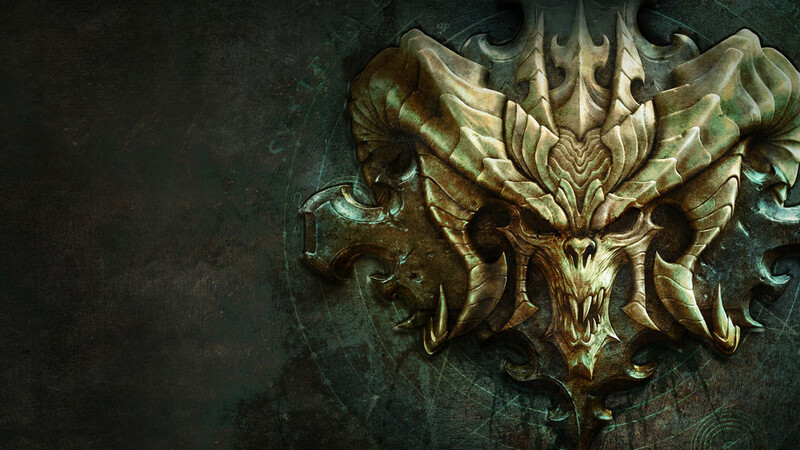 I reassure myself that this will be the time I will endure beyond just finishing the campaign – the time that I will delve deep into the end-game loop that is the gear and difficulty loop of the Diablo franchise. Yet, every time, the moment the credits roll I feel my commitment wane. 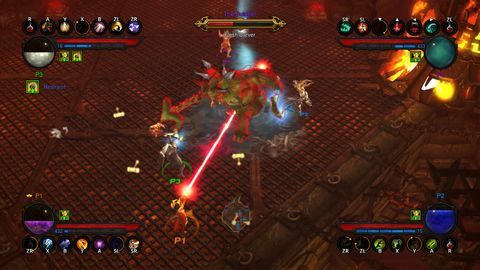 There are many ways in which Diablo 3 on the Switch is not a great fit. But, ultimately, the reason that I am loving having it on the handheld is that it is finally giving me a way to play the end-game content that feels natural and not like a chore. Like many Switch users, I play the console almost completely handheld. There are few things that I enjoy more than sinking in front of a TV show while playing through a fun and challenging experience on the system. A game which is not too story-heavy, of course – often rogue-likes are great for this. 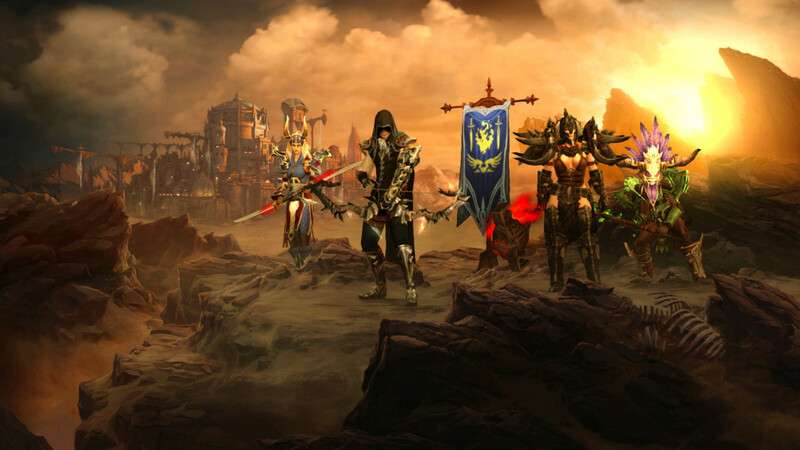 What is also great for this, is the end-game grind of Diablo 3 – especially because I prefer to play solo. 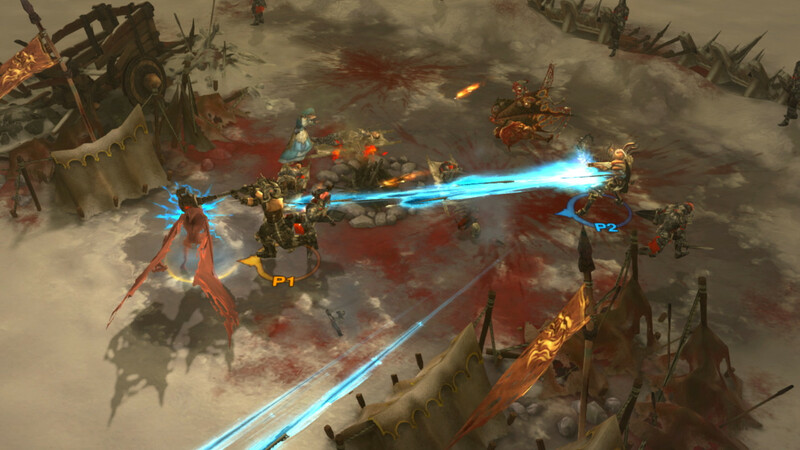 This may be a niche scenario – though I do know many people who also enjoy this mode of play for relaxing – but it is a scenario which is perfectly gelling with sinking deep into the Diablo end-game grind. However, having the game on the Switch does have its pitfalls. The primary of which is the game’s presentation on the system. In handheld mode, the game is noticeably a step down graphically. At first, I just wondered if I was misremembering how the game looks – after all, it was released over six years ago at this point. But, on booting the game up on my Xbox One it was clear that in handheld mode the game is significantly less detailed running at 720p. This makes the characters and enemies look slightly model-like – almost as if they are made from plasticine. In many games the sharpness of the Switch screen seems to off-set the lower resolution, but in the case of this port it seems to accentuate the lack of detail. Fortunately, in docked mode this tone-down is far less noticeable. Another obstacle of the Switch is the multiplayer. Though grouping up is easy with Nintendo friends, and online play is stable, there is still the challenge of voice-chat being bound to the mobile phone app. This obviously isn’t Blizzards fault, or a fault of this port, but it does make playing on other systems for online multiplayer preferable if you have access to them. However, there are also advantages to playing the game multiplayer on the Switch – the most obvious being that your system always has two controllers available, making co-op play easy for you and a friend. If you have multiple friends with Switch’s and the game, you’ll also have the option of playing the game together locally through wireless play. This isn’t something I’ve had the chance to try, but it is an alluring option if you can wrangle the friends, Switch’s and games necessary. 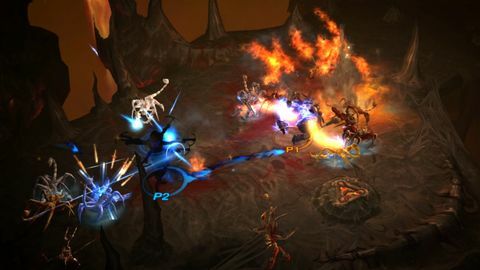 If the only gaming console you have is a Switch, then there is no question that Diablo 3: Eternal Collection is a must play. However, if you have other platforms to play on and are looking to dive into the game for the first time, you might want to consider what it is you’re looking to get out of it. If it’s the game looking its best and an easy place to play with friends online – you may want to go elsewhere. But, if you’re looking for the best way to sink into the grind of the game by yourself, this is how you want to play it. Ups The ease of play in handheld. Downs Graphical step down. Nintendo online service.